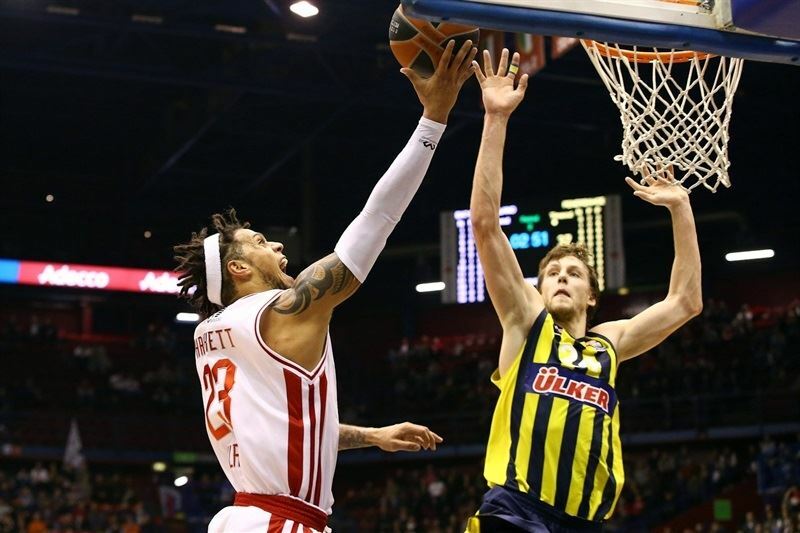 For the third time this season, Fenerbahce Ulker Istanbul held off EA7 Emporio Armani Milan, this time 71-82 in the Game of the Week on Thursday night at Mediolanum Forum. 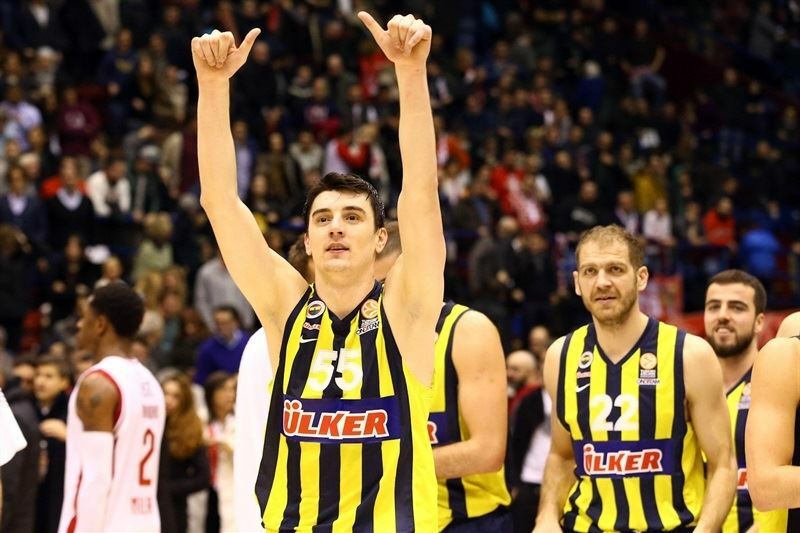 It was the fourth consecutive road win for Fenerbahce and sixth in seven games this season. 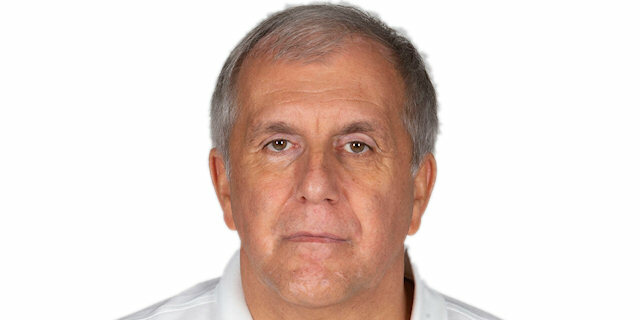 It improved Coach Zeljko Obradovic’s team to 2-2 in Group F, while Milan dropped to 1-3. 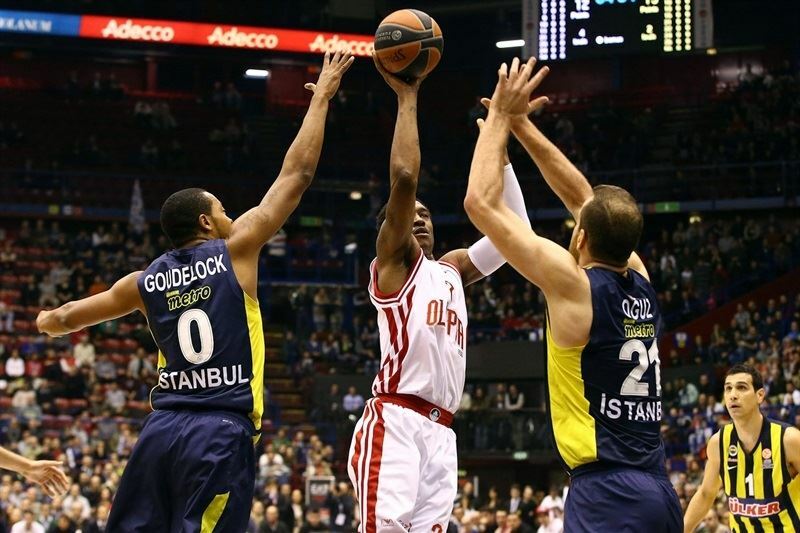 Fenerbahce took the lead for good in the first quarter, but never led by more than 5 points as MarShon Brooks kept Milan close. A triple from Andrew Goudelock extended the margin to 60-70 early in the fourth quarter. 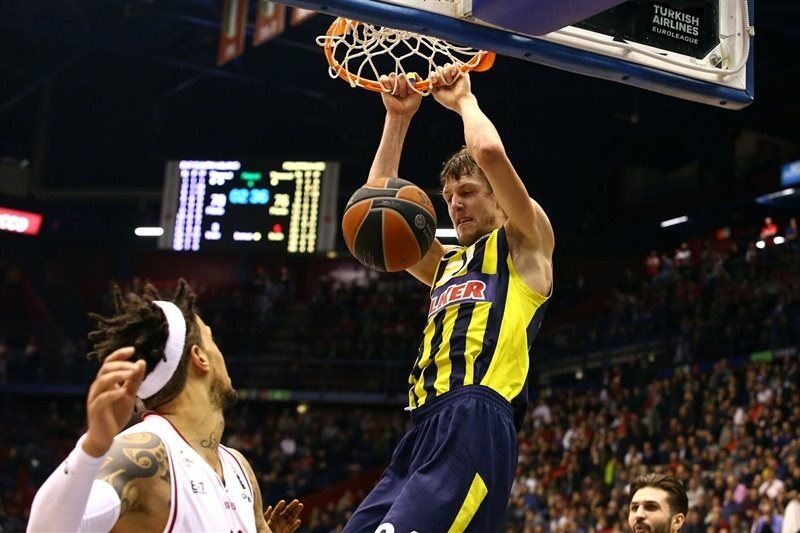 After Milan cut it to 70-74, Jan Vesely and Bogdan Bogdanovic stepped up with big plays, securing the Fenerbahce victory. Vesely finished with 15 points and 8 rebounds, Bjelica collected 14 points and 10 rebounds, while Bogdanovic had 11 points and 8 assists. 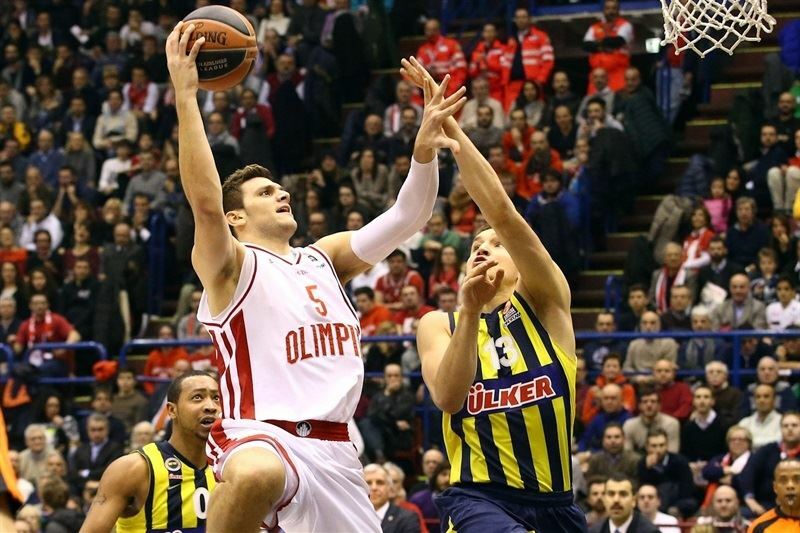 Nikos Zisis and Oguz Savas also scored 11 apiece in victory. For Milan, Brooks netted 24, Alessandro Gentile scored 14, and Daniel Hackett had 12 points and 10 rebounds. Gentile opened the scoring with a short jumper, but Savas answered right back with a layup-plus-free throw. Nicolo Melli scored a put-back to make it 4-3, and after Gentile drove for a high-off-the-glass layup, a quick score from Brooks made it 8-5. But Savas scored from close range three more times, including a second-chance, short jumper to lead 10-13. Samardo Samuels made a fastbreak layup and Brooks buried a short turnaround jumper for Milan to regain the lead, 14-13. The lead continued to go back-and forth. After Bogdanovic and Brooks traded triples, Zisis also buried one from downtown to make it 17-19. Hackett drove the lane for a runner off the glass, and after Bjelica scored inside, Gentile buried one from the outside. The visitors got the lead back with back-to-back mid-range jumpers from Luka Zoric and Zisis, before Bogdanovic closed the quarter making his way for a close-range shot and a 24-28 lead. Gentile scored a reverse layup, and Linas Kleiza sank a three to tie the game at 29-29 early in the quarter, but Vesely scored inside and Andrew Goudelock made a jump shot for his first points of the night. 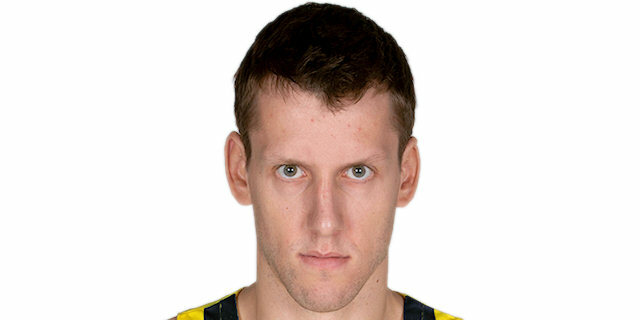 As both teams made better efforts on defense, Kleiza hit a long fade-away jumper for Milan, but Vesely answered with back-to-back second-chance baskets, including a big put-back slam, and Fenerbahce went in front 32-37. After a timeout, both defenses had couple more successful stops, before Hackett and Zisis each scored layups. Savas and Brooks also traded baskets from close range. Then Zisis drove for a layup and a 38-43 halftime lead. Brooks cut the deficit at the start of the quarter with couple of free throws and a put-back, before Bjelica made a floater for a 42-45 edge. Brooks fed Gentile for another basket inside, and after Bjelica made a tip-in, Hackett used a spin-move to drive for a layup. Goudelock bettered that, answering with a driving layup-plus-foul, and Bjelica added his driving layup for a 47-52 lead. Zisis hit a baseline jumper to extend the lead to 7, but Melli hit a triple to snap a 1-7 run. Semih Erden used a pump-fake to get an easy lay-in, and after Hackett drove for a tough layup, Bogdanovic nailed a three-pointer to make it 52-59. 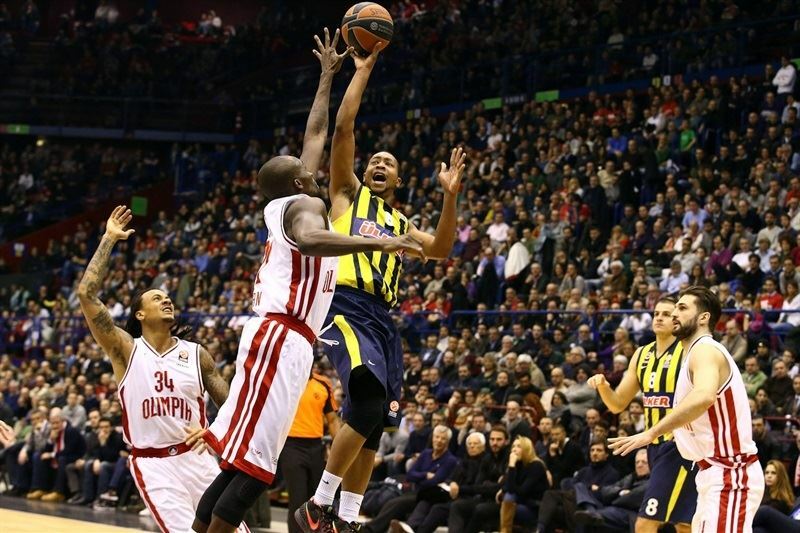 Fenerbahce forced turnovers on three consecutive possessions, holding Milan without a single field goal for more than three minutes. 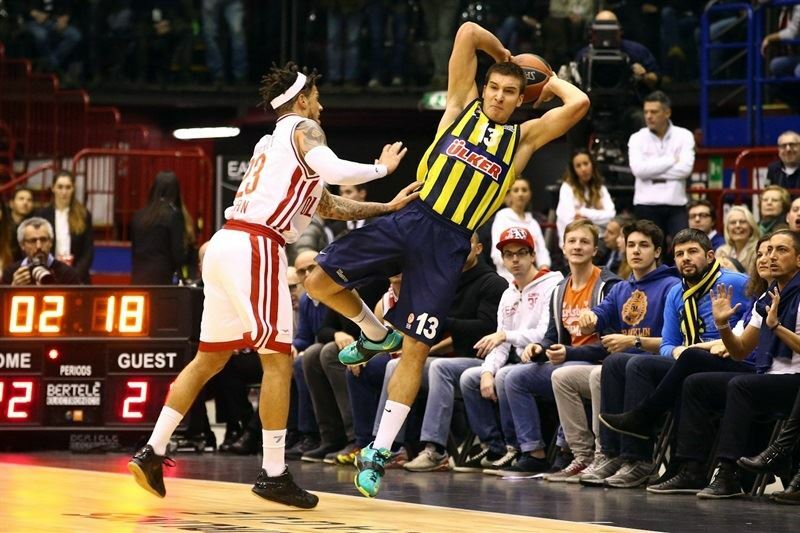 Free throws from Emir Preldzic made it 52-61, and after a put-back from Shawn James ended Milan’s drought, Vesely had a monster one-handed dunk to give Fenerbahce a 54-63 advantage. Brooks got things going by driving to the hoop for the hosts, but Goudelock buried a wide-open three-pointer to make it a double-digit lead, 56-66. James scored from close range, and Kleiza made a short fade-away shot for the hosts, but Preldzic made a pair of free throws and got a lucky bounce on a long jumper for a 60-70 advantage. Brooks nailed a three-pointer and followed it with a steal and couple of free throws to halve the deficit. 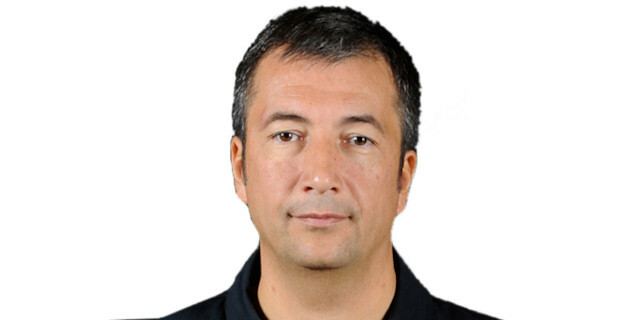 But Vesely scored an easy layup, and on the next possession launched a fastbreak that Bjelica finished with a tough layup for a 65-74 cushion with five minutes left. Hackett had a basket-plus-free throw and Gentile scored a tough turnaround shot, getting Milan within 70-74. 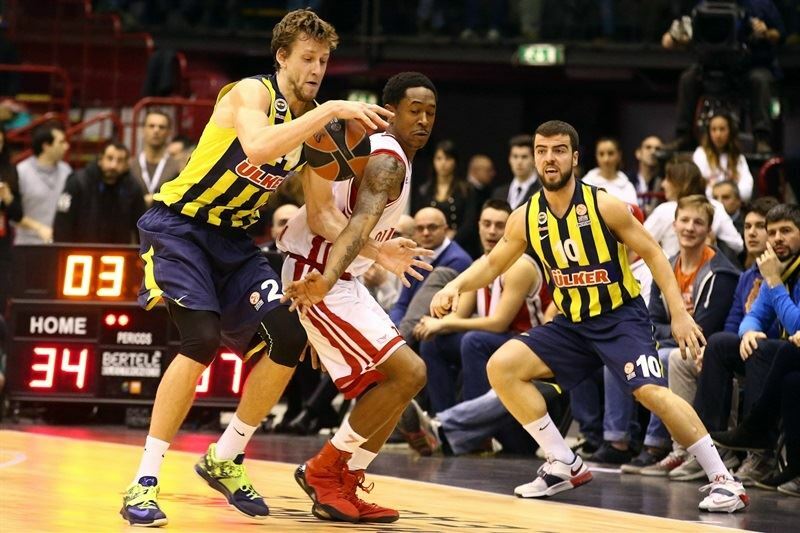 After a timeout, Vesely fought for a massive tip-in, then forced a Gentile turnover on the ensuing Milan possession. He followed that with an alley-oop dunk after a pass from Bogdanovic. Next, Bogdanovic made his little piece of magic, stealing a ball and racing for a layup and a 70-80 lead with less than minutes to go. In the remaining time, Genitle split free throw, before Preldzic beat the buzzer with a floater. "It was a very tough game. Our opponents came here very determined, ready to play a physical game, and from the beginning we had some trouble against their high level of intensity. Brooks and Gentile worked well in the first quarter, then the level increased and despite us being the Euroleague team with the fewest turnovers, less than 10 per game, we had 14 and had 4 shots blocked again. This explains their physical power. We missed precision and continuity despite the fact that we fought and tried to play at the next level." "We played Milan a week after they played a great game in Malaga, and we understood that the most important thing was to play well on defense. We reacted well to the worst moments. We're trying to improve our game in the clutch moments, and after losing two games with CSKA and Olympiacos, finally we played better." "I'm happy for the win. It's an important one, coming on the road. We're 2-2 now. We played hard from the beginning. We didn't lose our concentration. I try to do my job, just to play hard and get to the open positions, follow the pick-and-roll. That's what I do and today my teammates found me."